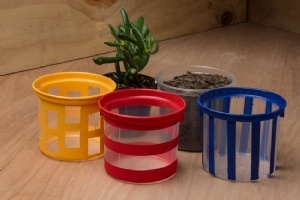 No idea what to do with buckets and tubs from your old products? 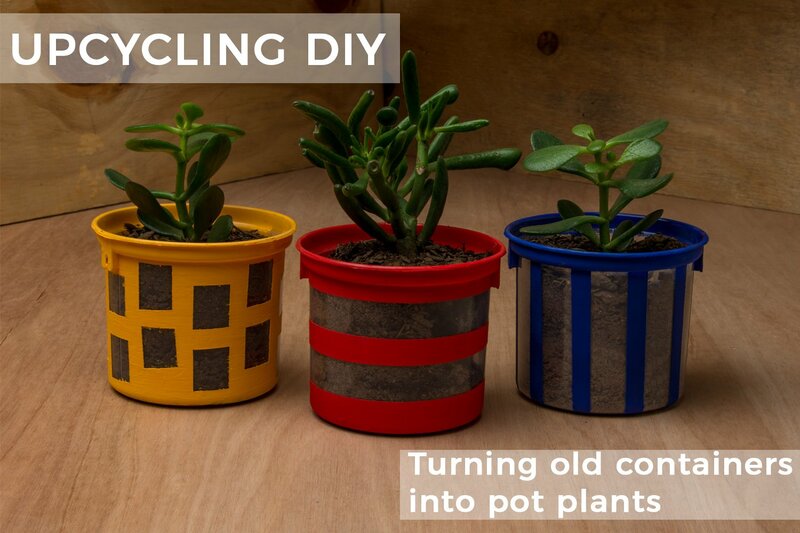 Turn trash into treasure by repurposing old packaging and turning it into something new. In this case it's colourful and fun pots for plants. 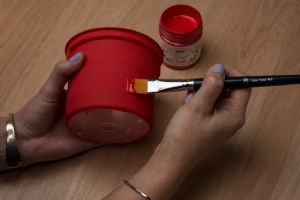 In this tutorial we will show you a cool technique using masking tape and Dala Craft Chalk Paint to create interesting patterns on old containers like Teddy Dough buckets. The first thing that will need to be done will be to remove the labelling from the jars / buckets. Easily accessible and child friendly - the cooking oil method requires liberally rubbing cooking oil onto the label area with your foingers or a cloth and leaving it to soak for a couple of hours. Thereafter it should be easy to peel off the label and residual glue. Wash in warm soapy water when done. Dala stocks White Spirit as well as Low Odour White Spirit. 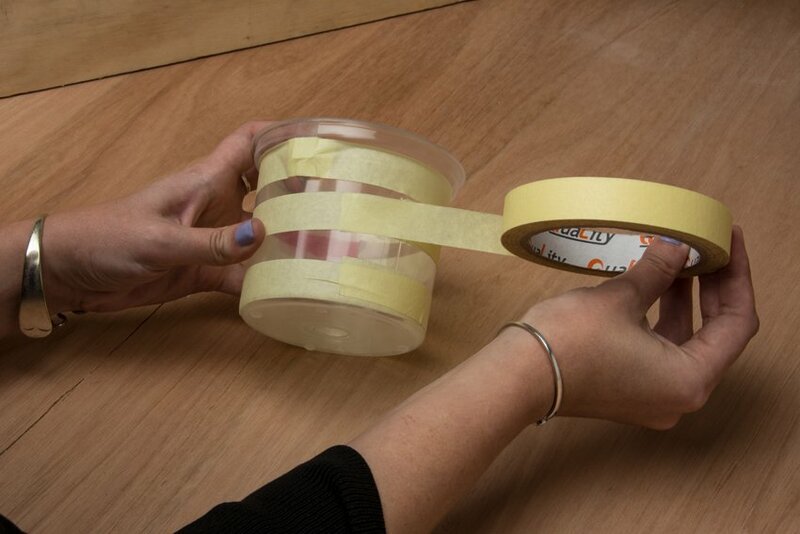 Remove as much of the labelling as possible by hand. Then, using a cloth soaked in White Spirit, rub the label area and to remove residual paper and adhesive. 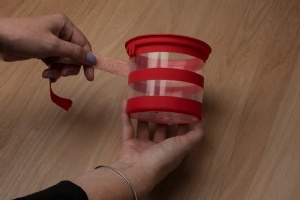 Use the masking tape to create patterns on the outside of the container. Horizontal stripes, vertical stripes, diagonal stripes, checkerboard patter, zig zig lines to name a few. 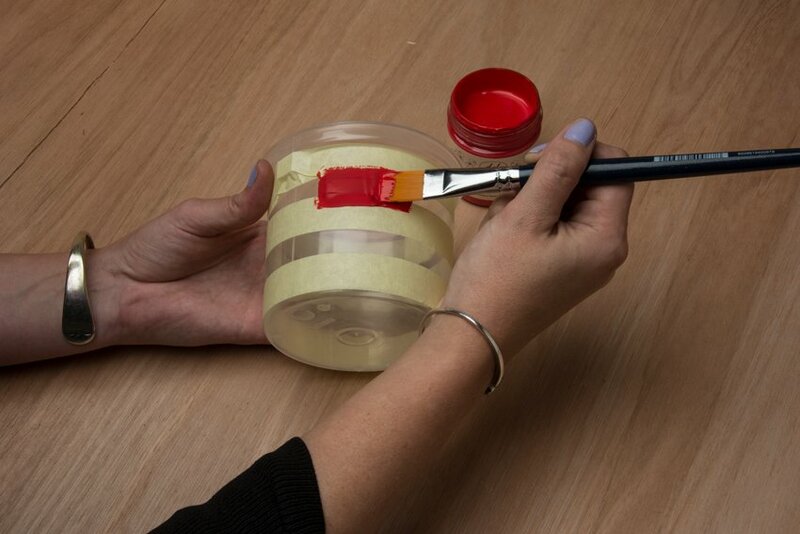 Press down firmly along the pieces of tape to safegaurd against any paint leaking or bleeding behind the tape when applying the paint. Apply a liberal layer of colour to the taped container, covering the tape and exposed areas completely. Allow to dry for 20 - 30 minutes. 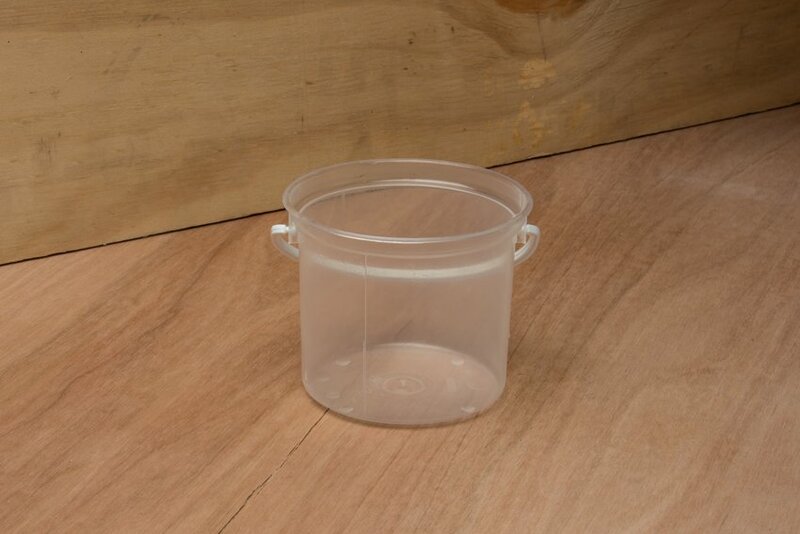 Due to the nature of the paint and application on the container, it may look streaky at first but will settle on the surface and become flush with the vessel. It is recommended that you apply 2 - 3 coats of colour to get a really bold effect, waiting for them to dry thoroughly between each layer. Carefully start to remove the tape from the painted containers. Use the craft knife to gently score the edges of the tape and to lift any tricky bits up so that you can peel them off more easily. 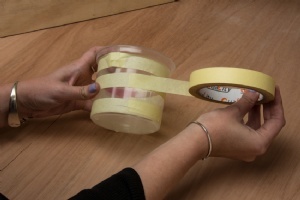 You should have clean, solid lines with minimal bleeding having taken place under the tape. If there is an instance where bleeding has taken place, use the craft knife blade edge to scrape off the paint in the areas where there shouldnt be paint. As an optional step, before potting the plants, you could varnish the craft chalk paint design you have created. For best results make use of Dala Polyurethane Hard Varnish and wait for the varnish to dry thoroughly before proceeding. 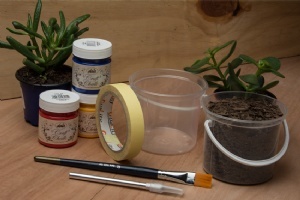 Carefully squeeze your plants out of their temporary pots and sit them inside the painted containers to estimate where you would like them to sit in the pot, height-wise. If you are happy with the height as is, just add potting soil carefully into the gaps between the plant and the container. 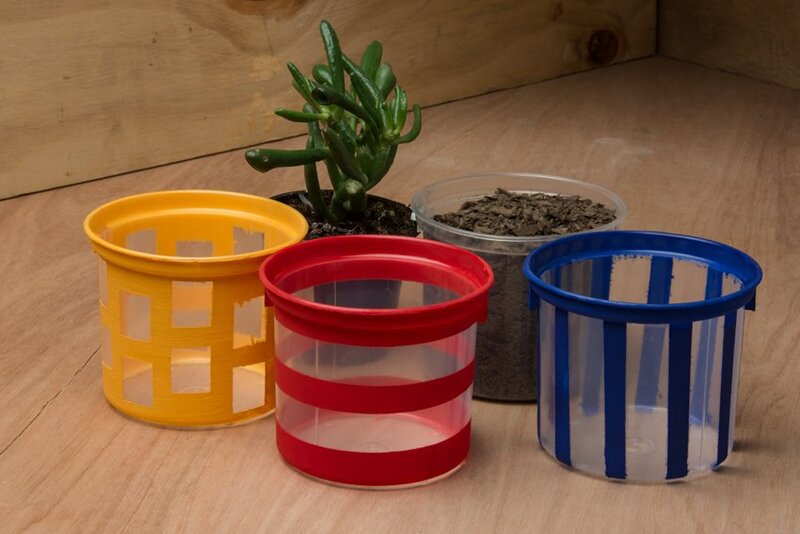 If you find that your plant is short and is sitting too low in the container, fill the bottom of the container with some potting soil and then sit your plant ontop of that soil layer. Then carefully fill in the gaps between the plant and the container to fill it up. 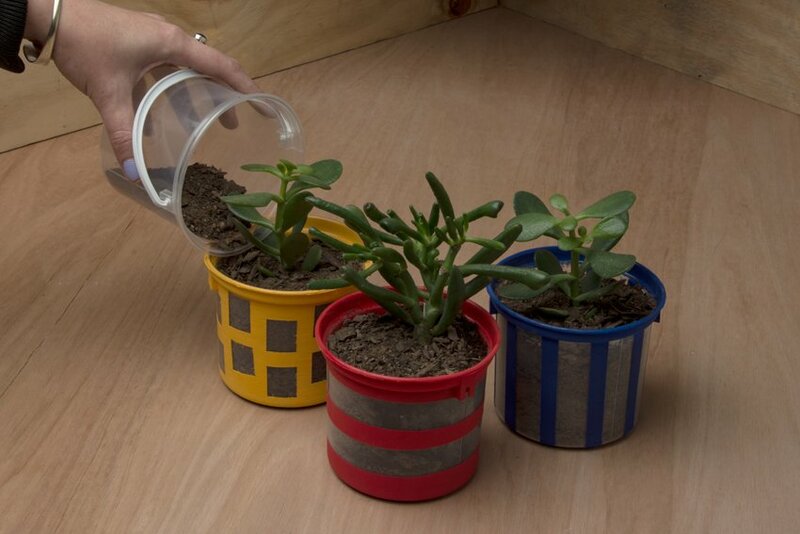 Water your plants in their new homes and place them somewhere where they will recieve lots of natural light. This item has 1138 views.